1. What is Project TERRE? 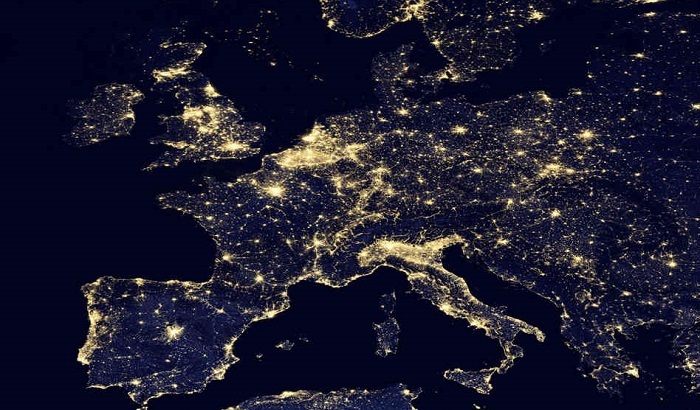 Project TERRE (Trans European Replacement Reserve Exchange) is an implementation project developed by a group of Electricity Transmission System Operators (TSOs), including National Grid, to fulfil a European legal requirement imposed by the European Electricity Balancing Guideline. The requirement is that all TSOs that use Replacement Reserve products procure some of their Replacement Reserve service needs in a joint market with other European TSOs. It also allows providers connected in those TSOs regions to offer Replacement Reserve in the trans-European market. Replacement Reserve services which National Grid currently use include Short Term Operating Reserve (STOR), the Balancing Mechanism (BM), and Demand Turn-Up (DTU). 3. Who’s involved in the project development / implementation? The GB solution was developed in two parts: a Grid Code (GC) modification and a Balancing and Settlement Code (BSC) modification. The workgroups that developed the code solutions often worked together and were made up of representatives from National Grid, Elexon and the wider industry – including Flexitricity. 4. What have the main challenges been? Creating a solution that will allow demand side participation, which is mandated by the European Electricity Balancing Guideline, on a level playing field with traditional generation and supplier aggregators without being too onerous for small participants. 5. When will it go live? Quarter four in 2019, but participants will be able to register as Virtual Lead Parties (VLP) from 28th of February 2019. This should give parties enough time to accede to the appropriate sections and conditions in the BSC to allow them to offer TERRE when it goes live in Q4. The reason the go-live date is not firm is that the end date for development of the central European platform is not yet known, but there is a legal deadline by the end of December 2019. That means if the central project finishes their work sooner than expected, TERRE could theoretically go live in GB sooner. 6. What does it mean for energy consumers / DSR / energy market participants? Does it offer a new revenue stream? Yes, this offers them a new revenue stream. Since TERRE development and implementation is still in progress, we’re not able to provide specific revenue illustrations. However, National Gird is planning on procuring an estimated 25 % of their total requirement from TERRE, which shows that it will be a lucrative opportunity for DSR providers to add to their value stack. 7. Will participating in TERRE give providers access to the GB Balancing Mechanism? Because the GB TERRE solution was built on the existing BM procedures, the solution was adapted to allow the demand side parties currently not allowed to participate in the BM to participate without a large number of substantial changes to the solution. When participating in TERRE via an aggregator, participants will have the option of either choosing their supplier as the aggregator or working with an independent aggregator. The benefit of a supplier aggregator is that they have access to the site data and forecasts already, and thus could post accurate data into the TERRE market for a site. This is more difficult for independent aggregators who will need to obtain this data from the site. On the other hand, the benefit of an independent aggregator is that they are usually already experienced in finding and utilising site flexibility. That is why Flexitricity’s Energy Partners are uniquely positioned to take full advantage of TERRE, now that Flexitricity has launched Flexitricity + Energy Supply. 8. Can you trade in the GB Balancing Mechanism and TERRE at the same time? Yes, you can offer into the BM and TERRE at the same time. Instructions for TERRE and the BM both come from National Grid, and the control room will ensure that contradictory/physically infeasible instructions are not sent out as a result of a site taking part in both markets, but these events are expected to be rare. 9. How can customers get involved / get access? What types of assets can participate? Anyone with more than 1MW of flexibility (either positive or negative) that can respond within 30 minutes can participate on their own by registering as a VLP. Any smaller assets will have to work with an aggregator. Sites that currently participate in STOR or DTU should be able to participate in TERRE. 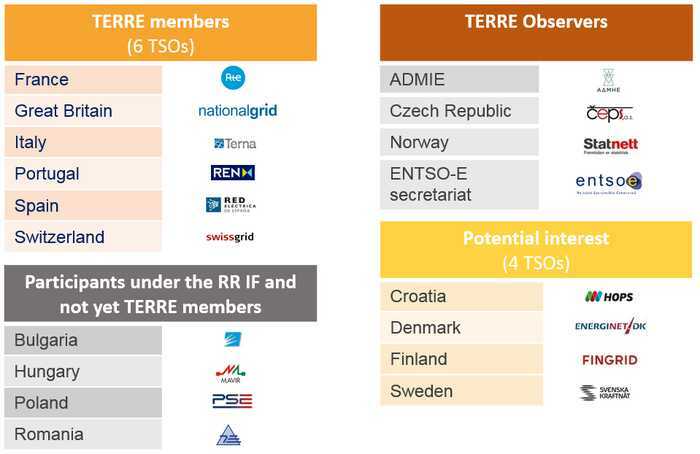 The TERRE auction is run by a central platform called LIBRA, which optimises the needs posted by TSOs with the bids posted by providers, taking account interconnector constraints. The auction will clear at a pay-as-clear price for every 15-minute period in the hour the algorithm is running for. Providers in GB will post their bids for the four 15-minute periods to National Grid 60 minutes before the start of the hour the bids are for. National Grid, and all the other participating TSOs, will pass their need and the bids of providers in their region to the central platform, and the auction will clear within 30 minutes. National Grid will then notify GB providers of their TERRE obligations in the same format as a BM BOA. TERRE is financially firm, and in GB, any deviation from the TERRE instruction will be settled at imbalance (and non-delivery if applicable). If you'd like more information, give us a call on 0131 221 8100 or email info@flexitricity.com - we'd be delighted to speak to you.